Veterans with traumatic brain injuries (TBI) and selected PTSD conditions would be eligible to participate in hyperbaric oxygen therapy (HBOT) under a bill approved unanimously in the state House (Feb. 21), and unanimously by the Senate (Mar 26). It was signed by the Governor on March 29. The bill provides a temporary appropriation of just $25,000 in seed money to what supporters call, a “private-sector driven,” initiative that will be overseen by the state’s Department of Veteran Services. There is a population of approximately 13,000 veterans with TBI in the state. Arizona is the only state that has formally taken this private-public partnership approach, said Sa’ad Allawi, an Oro Valley resident who helped spearhead the drive. HBOT has been shown an effective, non-medicinal alternative abroad and selectively in the U.S., though it not offered as a Veterans Administration benefit. Patients in HBOT breathe pure oxygen in a room where pressure that is 1.5- to 2.2-times normal level. This rejuvenates cells and increases stem cell production that promotes healing. It is used for scuba divers who suffer from decompression sickness. Athletes have used HBOT since the 1960’s to treat concussions, a form of TBI. Healing Arizona Veterans, or HAV, has been established as a nonprofit that will promote contributions from small donors, charities and the private sector. 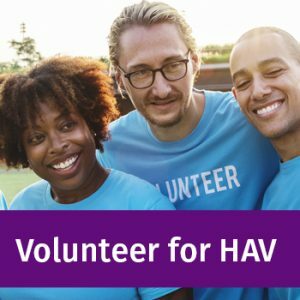 HAV has is driving the private donors match effort, which will enable the first 10 veterans to be treated. The group’s goal is to treat 50 in its first phase. “Arizona has two stand-alone HBOT private providers, Hyperbaric Oxygen Therapy of Arizona, of Phoenix, which has been in business for 18 years, and NorthStar Hyperbarics, of Tucson, in existence for 14. Both have six-person chambers. As many as 300 veterans could be treated annually,” says Allawi. A full treatment cycle of 80 hours at $150 per session means a cost of $12,000 per veteran. For a technology that is mature, the United States offers relatively few options. One of the nation’s HBOT models, Oklahoma, four years ago passed a Patriot Clinic Act that offers the therapy. Texas and Indiana passed pilot programs last year. Marine Corps now offers selective treatment and a study is underway at Louisiana State University involving 50 veterans. Brook Army Medical Center, Fort Sam Houston, TX, the largest healthcare organization within Department of Defense, is spending $12 million on an HBOT wing. Treat Now, a veterans’ support group, estimates there are 2800 veterans have been treated in such a manner.